During the nine years of Camera Zizanio’s presence in Greece it appears to consolidate one of the fundamental objectives: develop the audiovisual creation of young people in Greece and make it one of the basic elements of the educational process. This year the Greek participations of Camera Zizanio exceeded any other of the past and reached the 77 (60 last year). Actually, this number doesn’t reflect the total Greek production. Many films are not included as they were out of the timeline or their duration was over the 10 minutes that regulations define. And something more: we also have two participations from kindergartens (last year it was one). This marks a jump as it shows that there are teachers who realise the benefit of the audiovisual education offered to children in their very first age. It must be mentioned that all these happen when no program, centrally directed in national level, is in progress and all work is based on the individual initiatives of schools, teachers or children. 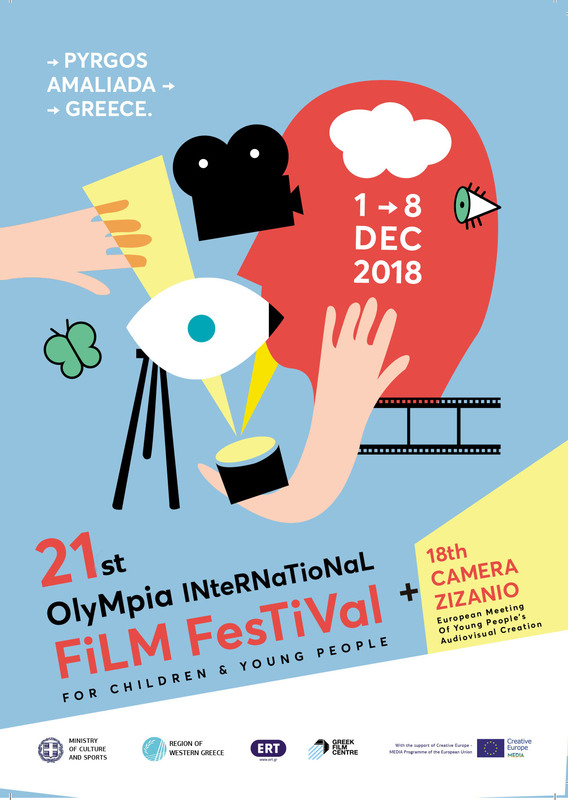 Behind the 20% of Greek participations, the initiatives of the Olympia’s Film Festival collaborators or teachers are hidden. These people developed their knowledge and gained experience through our educational activity, including the films created in the framework of the 1st Skopelos International Film Festival for Youth. It was a successful initiative that was fully supported by Camera Zizanio and Olympia Film Festival. New record is also registered by the international participations that reach the 390(! ), emanate from 26 countries of Europe. That marks an enlargement of our international family as Turkey and Romania are also added this year for first time. This year, in the International Panorama participated films from 6 countries, including, for first time, Indonesia and Taiwan- China. But Camera Zizanio is not only a “Festival”, is a big workshop of audiovisual education. Since 2008, Camera Zizanio established the separate presentation of work for the cinematographic abroad workshops in order to exchange experiences, develop research and dialogue. This year the work of the educational camps of Dong-Ah Institute of Media and Arts (DIMA) in South Korea will be presented. We have the honour to attend the presentation of DIMA by the professor of the faculty, the director Wangtae Lim, which at the same time will be member of the International Jury of OlympiaInternational Film Festival for Youth and Young People. From this year Camera Zizanio moves forward to one more innovation concerning the cinematographic workshops realised during the festival, breaking the known form: adults teach children. Now children will teach their coevals. Dombi Botond and Dombi Szabolcs, two brothers 15 and 11 years old from Romania will share their knowledge in animation technique with children in Pyrgos and will create films with them. The team of Zizanio Live, the group of children which create daily short documentary films and deal with the internet promotion of Festival’s activities, this year promises a more intense presence with many hours live program seeking for an interactive participation of even more children from all over the world. The independent music record company Puzzlemusik and its cooperating composers decided to offer a large amount of musical compositions free of rights for the young creators of Camera Zizanio! The compositions will be used for the sound investment of their films which won’t face any problem in their distribution. The Educational Group Domi, grants a scholarship for the attendance of a script writing seminar (which is organised in collaboration with the Greek Scriptwriters Guild) for the creator of the best film in the category C (17-20 years).